Everyone is always on the go these days, and it can be exhausting. If you have family, work, and social obligations, then you may be burning the candle at both ends, which can leave you feeling fatigued. Fortunately, by finding the best energy supplement for your needs, you can get the energy boost you need to make it through your day. It isn’t uncommon to feel your energy begin to flag when you’re at work in the afternoon. After you’ve had lunch, you may feel more energized, but it is only temporary. If you’re under a lot of stress and not sleeping well, then you can quickly feel drained. On your coffee break, you may be tempted to buy a chocolate bar or something sugary to provide a burst of energy. Unfortunately, the energy you get from sugar is only temporary and will lead to an energy crash. However, you can get sustained energy by taking energy supplements. Energy supplements come in many forms, including shakes, drinks, pills, and effervescent tablets. When selecting an energy booster, look for those containing some of these ingredients. The same reason you drink coffee in the morning is the same reason energy boosters contain caffeine, to provide the energy you need to get going. It revs up the metabolism to help you stay alert. If you’re caffeine sensitive, be careful about how much is in supplements as they can sometimes cause jitteriness. Guarana is an herb that is often found in energy boosters because it helps to reduce fatigue. It can also provide mental alertness, and it helps some people lose weight. However, it contains caffeine, so be careful about how much guarana that you take to avoid sleep disturbances and other serious side effects. The natural way to add Vitamin B12 to your diet is to eat meat. However, if you are a vegetarian or vegan, then you may not get enough of it, and you can feel rundown. Older people often need to take B12 shots because the body doesn't produce it. Along with providing energy, this vitamin is needed for your entire body to function correctly. This herb is known for its ability to provide an energy boost, which is why you’ll find it in many supplements, including energy drinks. Along with boosting energy, ginseng can relieve chronic fatigue, and it may help reduce stress and anxiety. The use of this herb is primarily in Ayurvedic medicine, but it may be found in some energy supplements. It benefits the adrenal system because when people feel rundown, tired, or are stressed, and the adrenal glands do not function well. It helps to increase energy and endurance. These five ingredients, amongst many others, are found in energy supplements to help provide the energy you need before working out, while at work, or to get going in the morning. We’ve listed the 10 best energy supplements we’ve found to ward off fatigue and keep you going throughout the day. To choose our list of energy supplements, we looked at the ingredients on the labels to search for the best ones. We also read user reviews and testimonials to find out how well they worked. Then, based on our findings, we created a rating system between one and five stars, with five being the best rating. Here are our choices for the top 10 energy supplements on the market. Whether you need more energy for working out, getting through a tough day or helping you wake up in the morning, these are our choices for the top energy supplements. NoorVitamins makes an energy supplement that both men or women can use to increase their daily supply of energy. 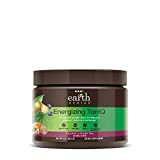 It doesn’t have caffeine in it because they use organic ingredients like fruits, vegetables, black seed, and honey to provide the vitamins and minerals your body needs to create the energy you need. It also contains beta-carotene and Vitamins A, B complex, C, D, and E. It doesn’t have artificial colors, flavors, or preservatives. Nor does this supplement have shellfish, fish, eggs, soy, peanuts, tree nuts, or wheat. It comes in the form of a tablet, with 60 tablets per bottle. Whether you’re vegetarian or eat a Halal diet, you can take this supplement. This supplement combines three types of mushrooms to help boost energy, improve immunity, and provide mental clarity. Instead of using caffeine as an energy booster, this supplement contains the Cordyceps sinensis mushroom. It has been used in Chinese and Tibetan medicines since the 15th century. One of the mushroom’s benefits is to fight fatigue and help improve exercise performances. It contains adenosine, which produces ATP, or adenosine triphosphate, a primary source of energy for the body’s cells. It may reduce heartrates as well, which allows athletes to train longer. The other mushrooms help improve immunity and focus, memory and cognitive performance, which also helps athletes in the gym and can help you at work. Take one capsule with a full glass of water three times a day, about 20 minutes before eating. For another natural way to boost energy, this supplement contains maca root, which was once used by Incas for stamina, energy, and mental focus before going into battle. This supplement comes in capsules containing organic maca root powder. Nutra Champs processes the root in such a way that it is easier to absorb. It uses black pepper extract so that its benefits are bioavailable to the supplement’s users. It also helps to balance hormones, improve fertility, and awaken the libido of both men and women. The company offers a lifetime guarantee so that if you don’t like the product, they will refund your purchase without question. 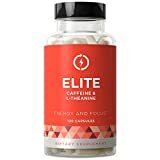 If you want energy that is going to last, then this Elite energy supplement provides it with 100mg of caffeine and 200mg of L-theanine in every capsule. 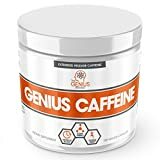 The L-theanine ensures that you will not feel jittery after taking this supplement, but it doesn’t interfere with the caffeine’s ability to provide the energy you want. Along with long-lasting energy, the supplement also provides better focus. Being able to concentrate better can help you at work, school, or while working out in the gym. The capsules are easy to swallow soft capsules without binders, fillers, or artificial additives. They also don’t contain wheat, gluten, or dairy and they are never tested on animals. Elite provides a 90-day unconditional money back guarantee. The company also participates in the 1-for-1 match program with Vitamin Angels. When you purchase their product, they provide one year of vitamins for a child who needs them. Instead of taking the chance of getting the jitters by taking a supplement with caffeine, select an energy supplement that uses natural ingredients. Nutra Champs uses Korean ginseng, which is known for providing energy throughout the day without giving users a jittery feeling. 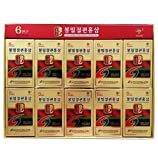 Each bottle contains 120 vegetarian capsules containing 500mg of ginseng. To ensure that customers get a high potency product, the ginseng roots are tested to make sure they contain 5% ginsenosides, the main active ingredient in ginseng. Along with providing energy, ginseng may help with a variety of other conditions like depression, anxiety, diabetes, nausea, depression, and fatigue. Using this supplement can also enhance your mood, focus, and performance while exercising. Nutra Champs provides a lifetime guarantee so that if you don’t like the product, you can get your money back without any problem. Instead of swallowing a tablet or capsule, drink your way to more energy with Havasu Extra Strength Brain Supplement for Energy & Focus. 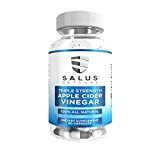 This supplement contains ingredients for better energy and focus like Gingko Biloba, Acetyl L-Argentine, Alpha GPC, and green tea, which provides caffeine. This formula is fast acting, so you don’t need to wait forever for a boost after mixing and drinking it. 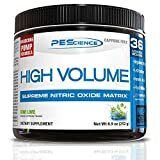 It can be taken as a pre-workout supplement or to boost nitrous oxide when you're in the gym. It is made easy to mix so that it won't be chalky. It is available in a strawberry lemonade flavor. If you don't like this supplement for some reason, it comes with a 60-day money back guarantee. Genus Caffeine energy supplements are made to provide a sustained release of caffeine that lasts all day. Regular caffeine quickly absorbs in the body to release its stimulant effects. However, your energy levels can fluctuate. This supplement provides the energy you need throughout the day. Caffeine also produces thermogenesis, which can burn excess calories. So, along with alertness, the supplement may help you lose weight. The patented NEWCAFF can also increase performance, endurance, and improve blood circulation. If you need caffeine to start your day or provide more energy when going to work out, this tub of G Fuel contains the caffeine that can get you going. Each serving, there are 40 in a tub, contains 150mg of caffeine. The mix is also gluten and sugar-free, so it only contains 25 calories per serving. The mix also gives you the benefits of 19 fruit extracts that provides 650mg of antioxidants. Antioxidants fight cell damage by free radicals and many health benefits. G Fuel is available in several flavors: Fruit Punch, Blue Ice, Tropical Rain, Cherry Limeade, and Golden Apple. The Fruit Punch is shown here. This energy drink also provides 250mg of Vitamin C, 10mg of B6, and 425mcg of B12. Along with providing energy, it also provides the focus you need to stay on top of everything in your life. The Havasu energy supplement contains an amino acid called l-arginine. Along with supplying the energy, you need for a good workout; the capsules help with muscle growth and relax blood vessels for better vascularity. Along with 400mg of l-arginine, each capsule has 400mg l-citrulline malate, and 100mg of cayenne pepper. L-citrulline malate is an amino acid that converts to l-arginine and nitrous oxide in the kidneys. Cayenne pepper has a thermogenic effect that can help burn excess calories. This supplement can help athletes, both professional and amateur, train harder and provides the endurance to train longer. 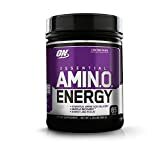 If you need more energy and focus to help you through the day, then the Optimum Nutrition Amino Energy could be the energy drink for you. 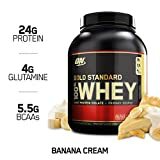 It is made from amino acids like L-Arginine, Citrulline, L-lysine HCL, and L-Tyrosine, among others. It also contains 150mg of energy-boosting green tea and green coffee extract. Along with providing caffeine, they also provide important antioxidants to help your body recover after working out. The powder is easy to mix, and you can use it more than once a day. A serving size is two scoops, and the tub contains 65 servings. It also comes in two other sizes if you don't want to buy so much at one time. It is available in two flavors, Concord Grape and Blue Raspberry. When buying an energy supplement, read the label to find out what it contains. Most of them will have caffeine as an ingredient to provide energy. However, if you’re caffeine sensitive, you can find other supplements that use vitamins and minerals from fresh produce to create the energy you need to get through your day. Energy supplements are available in capsule, tablet or powder forms so that you can select the best option for yourself. Read the label to find out how many servings are acceptable per day, so you don't overdo it and get unwanted jitters. This guide should help you find the best energy supplement for your daily needs. 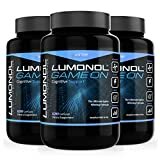 First nootropic specifically developed to meet the unique needs of top-level gamers.